We Know 6 of the Best Mendocino Attractions! Sometimes, it takes something out of the ordinary to get yourself out there and try new things. Turns out, Mendocino is the perfect spot for that! 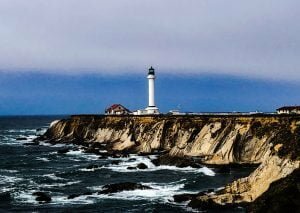 There are so many amazing and unique Mendocino attractions to experience, and you can squeeze them all into one trip. Grab a piece of paper and get ready to take some notes, because we’re about to add a few things to your bucket list! 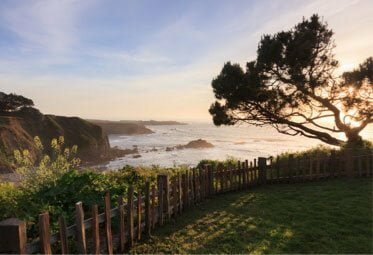 Read on to find out the top six attractions in Mendocino. 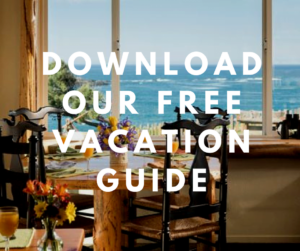 Then, download our free Vacation Guide! It’s the perfect travel planner with suggestions for local restaurants, shops, museums, outdoor adventures, and more. Mendocino’s location in Northern California means steady weather year-round. This gives locals and visitors a chance to enjoy outdoor adventures and attractions in every season. Make sure you check our weather page and pack accordingly! Here are our favorite things to do and see. Mendocino (and Northern California in general) is a wonderful destination for nature lovers. 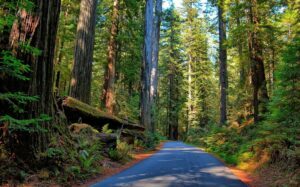 The Redwood Forest and its impressive trees are a once-in-a-lifetime vision, and you owe it to yourself to observe one of the most stunning natural features on the planet. Hop in your car and head to the famous Avenue of Giants. 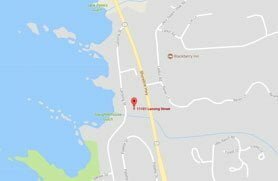 It’s just off of Highway 101 and is surrounded by Humboldt Redwoods State Park. Be sure to look at the signs before venturing in and don’t forget your camera! We’re not exaggerating when we say it’s a breathtaking sight to behold. Bryan Preserve is one of the cutest and most fun attractions in Mendocino. 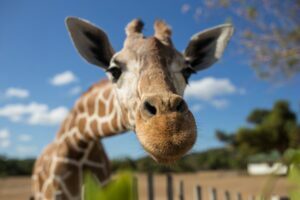 If you’ve ever dreamt of kissing a giraffe, now is your chance! This private conservation center focuses on endangered hoofstock species like Sable and Roan Antelope, Greater Kudu, Grevy’s Zebra, Hartmann’s Mountain Zebra, and Rothschild Giraffe. The animals are raised in large enclosures ranging from six to 35 acres. Stop by to see them up close! 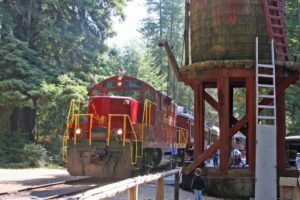 The Skunk Train is a gem of Mendocino and is an absolute must-see during your visit. It was deemed the best rail tour in the country by USA Today and ranked among the Top 10 Family Activities in California by National Geographic Traveler! The locomotive takes you through the some of most amazing landscapes in Northern California, including tunnels, bridges, meadows, and towering trees. You’ll even get a glimpse of local wildlife. We highly recommend the Northspur Flyer route. This four-hour trip takes you to the midpoint of the track at Northspur and up the 1,740-foot summit ascent! No trip to Mendocino is complete without a visit to Point Arena Lighthouse. This iconic building was established 1870 and is now an iconic attraction of the Pacific Northeast. It offers an interactive and visual experience like no other with its brick and mortar facade and ornate staircase. While you’re here, go on a tour and climb the 115-foot tower for a stunning, 360-degree view of the Pacific Ocean! Taste the flavors of Mendocino at Pennyroyal Farm! This sustainable farm and vineyard is a fantastic spot to enjoy fresh, local products. The family-owned property produces high-quality California wine and cheese on a little more than 100 acres. 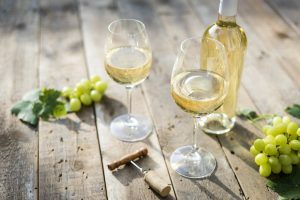 Spend a couple of hours in their tasting room to enjoy a sample of each, or take a tour of the farm to learn more about their production methods. Catch a Canoe & Bicycles, Too! Why not go on an outdoor adventure while in Mendocino? The surrounding area boasts beautiful landscapes and fantastic state parks. 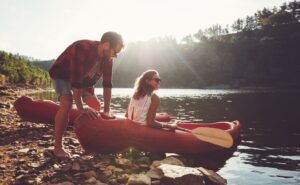 Reconnect with Mother Nature on an exciting rafting adventure, or ride a bike down a scenic trail. Catch a Canoe & Bicycles, Too was established in 1972 and offers kayaks and bicycle rentals for guests. You can go for a ride on one of their Polynesian redwood outriggers or opt for a guided tour on an electric outboard! 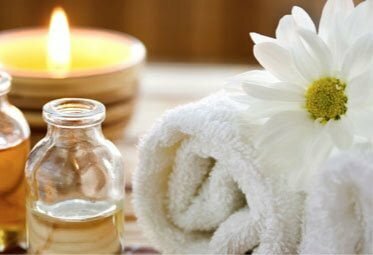 You deserve all the comfort you can get after such a day! 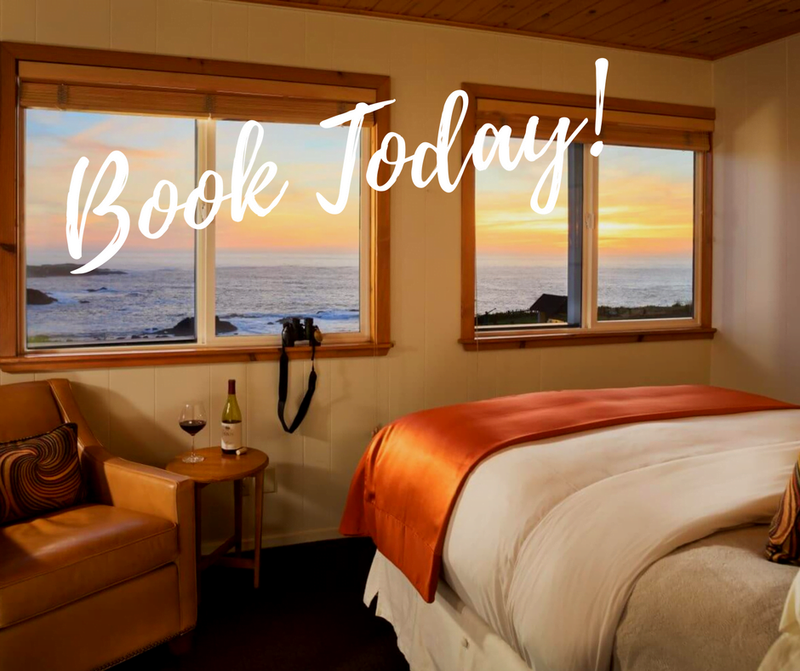 Stay at Sea Rock Inn and treat yourself to the ultimate Mendocino getaway! 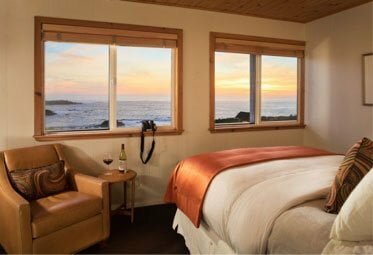 Our stunning B&B offers amazing views of the Pacific Ocean. 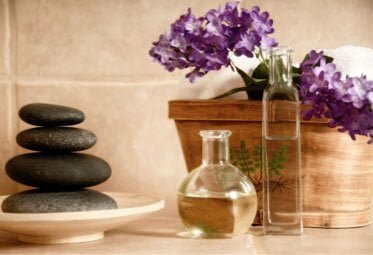 Plus, we provide the modern amenities you desire and the serenity you crave while on vacation. Browse our accommodations today and pick your favorite! Take a look at our Junior Suite 18, for example. Guests in this room wake up to a beautiful ocean view every morning and can hear the sound of distant waves crashing on the shore. At night, relax in a hot bubble bath, slip into something comfortable, and enjoy a glass of wine on your private deck. Then, get a good night’s sleep in the luxurious queen bed. Before starting new adventures the next day, join us in the main inn where a delicious homemade breakfast awaits you!